United Nations General Assembly has completed its 70th session (25-27 September) in New York, USA, where 193 member nations assembled on agenda of Sustainable Development.With this perspective, UNGA has adopted a new agenda for Sustainable Development and prosperity of the world. This new agenda is called '2030 agenda for Sustainable Development' which mainly focuses on poverty elimination from the world and alleviate the livelihood of the people with collective contribution of developed and developing nations. - Hunger and Poverty will be targeted in next 15 years so that Human community can fulfill their potential in dignity, equality and live in a healthy environment. - It is necessary to protect the planet from degradation through sustainable consumption and production, managing its natural resources and taking action plans on Climate change so that planet can fulfill the needs of both present and future generations. - It is determined that Human society can enjoy prosperous life with economic, social, and technological progress occurs in harmony with nature. - They are determined to provide peaceful and inclusive societies that will be free from violence and fear. It is the important aspects to achieve sustainable development goals. - It is determined to participation of all stakeholders, all countries and all people to implement this Agenda through a revitalized Global partnership for Sustainable Development. It will also bolster the integrity of the world. The UN tabled the 17 Goals of Sustainable development in Sustainable Development Summit in New York, USA. This Agenda is a plan of action for people, planet and prosperity. It also seeks to strengthen universal peace in larger freedom. 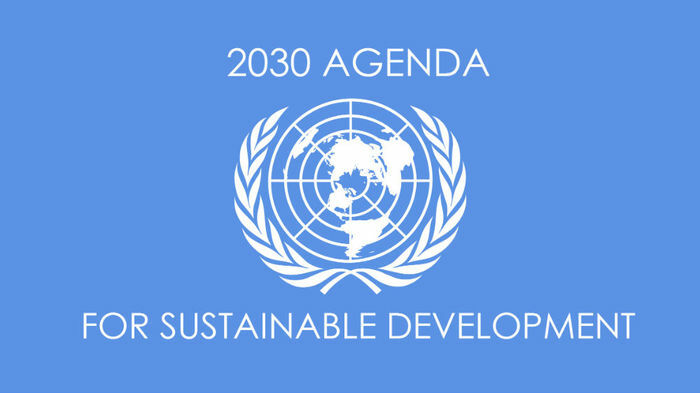 Comments "Goals of 2030 Agenda for Sustainable Development adopted by UNGA"